Background – A couple of years ago, Nintendo revealed a game called Yoshi’s Woolly World which had graphics that looked as if they were made out of yarn and fabric. It took quite a lot time for the game to actually be released, especially here in North America where we got it later than other parts of the world, but until recently, Nintendo fans could have never guessed that they would get a real yarn Yoshi to accompany the game. Yarn Yoshi is a groundbreaking Amiibo because it is the first that is not made out of plastic and it is one of the most anticipated Amiibos in recent memory. 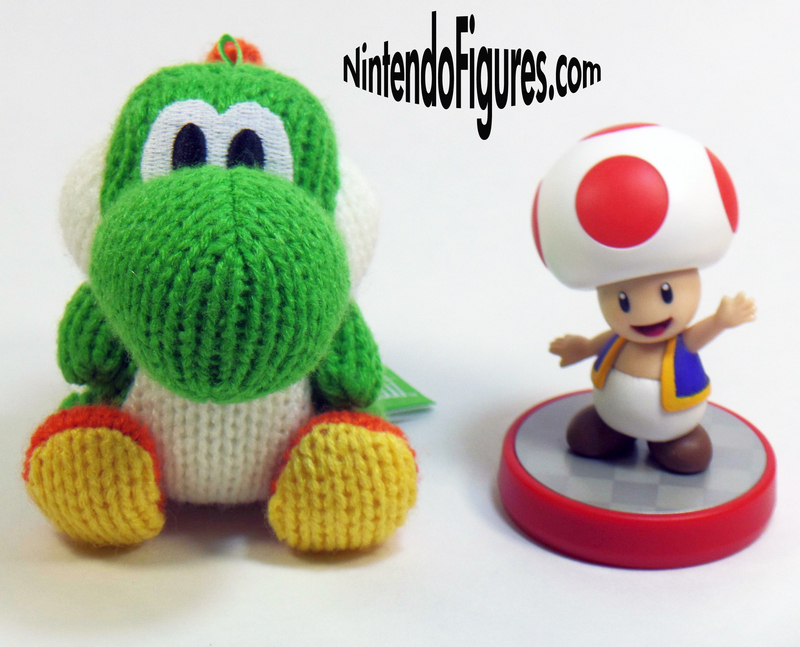 Rarity – The Green Yarn Yoshi is very similar to the Mario Amiibo that was packaged with Mario Party 10. As I write this, Green Yarn Yoshi is only available if you buy it with Yoshi’s Woolly World for Wii U which is $60. This means you get the Amiibo for $10 essentially. If you just want the Amiibo, the Green Yarn Yoshi will be released in about a week a half to be purchased individually for $17. The Green Yarn Yoshi bundled with Yoshi’s Woolly World is not only easy to find in stores, when it is released on its own, like Mario was, it will almost definitely be an even more common Amiibo. So if you want one, this should be an easy one to track down. Texture – The big question I had with this Amiibo is what would it feel like? Would Yoshi be as soft and squishy as he looks? My concern was that the Amiibo chip would need to be in the middle that would make the core of Yoshi pretty hard and make him much less of a stuffed animal than many fans probably want. I’m happy to report that Yoshi is soft and yarn used is not rough at all. Yoshi is more squishy than I would have imagined too. He isn’t completely squishy, but he doesn’t have a hard, plastic core like I thought either. 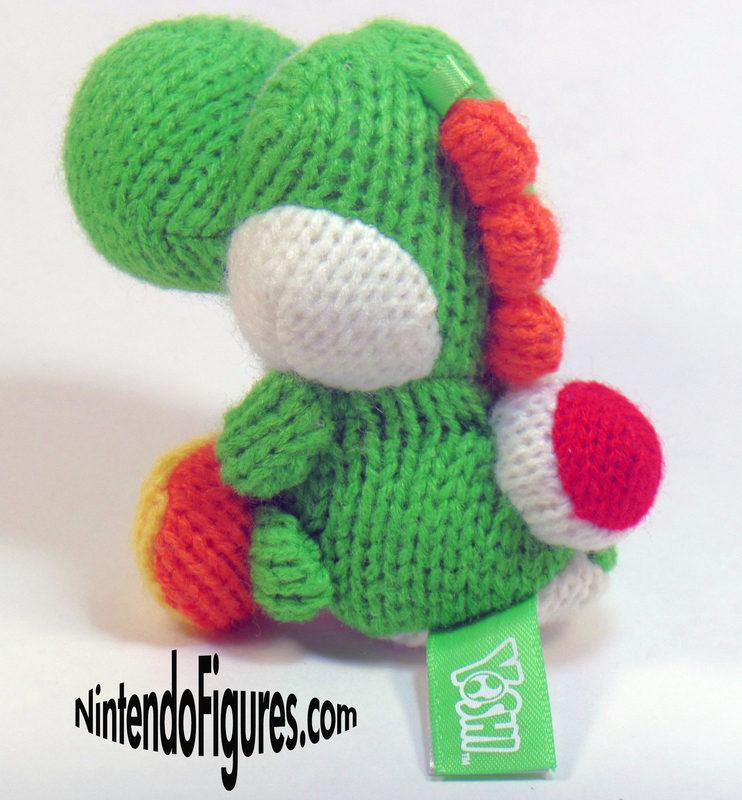 Details – Yoshi is posed so he sits comfortably on the ground. As you can see, Yarn Yoshi He doesn’t have a lot of details because he is actually knitted out of yarn, but his big eyes and adorably large nose still make him very cute. To my surprise, Yoshi does have a little tag and a little loop so he could be attached to backpack or key ring or something along those lines. The Amiibo is also relatively tall, but not one of the tallest Amiibos Nintendo has released so far. Yarn Yoshi is simple, but I can’t find any faults with him or come up with anything else I want out of this Amiibo’s design. Nintendo pulled off something really ambitious and Yarn Yoshi is sure to make fans happy. Amiibo Functionality – I’m going to assume most people will not be able to resist opening their Yarn Yoshi (or at least one of the set that they buy) so instead of making a case for keeping him unopened like I often do, I’m going to focus on what Yarn Yoshi can do. In Yoshi’s Woolly World, you can tap Yoshi on your Wii U Controller to create a second Yoshi that is controlled by the computer and somewhat by yourself. I tried this feature for one level and gave up. The Yoshi basically mirrors whatever you do but gets in your way constantly or you have press the – button to get Yoshi to catch up. 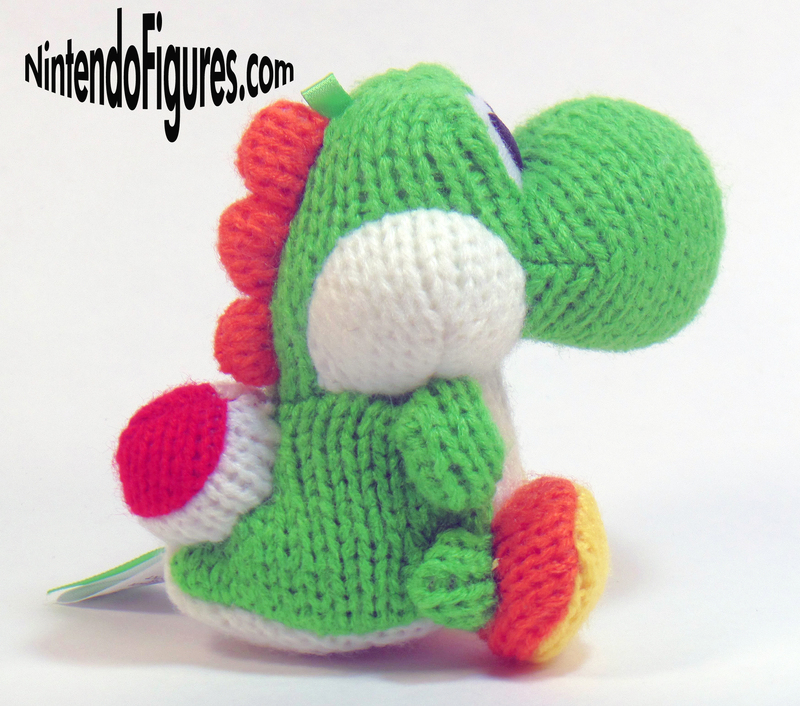 Yarn Yoshi also can save a Yoshi design for you to use anywhere you go. There are hundreds of Yoshi designs in the game so this feature is more useful if you’re going to play co-op. Overall, this functionality is pretty poor even compared to other Nintendo games which have somewhat limited usefulness as well. Yarn Yoshi also is one of the many sprites in Mario Maker which can be unlocked, but scanning your Amiibo and saving yourself time is well worth it if you want all of the sprites in Mario Maker. While two small features are pretty underwhelming, Nintendo will add more functionality to Yarn Yoshi as they make more games just like they have done with previous Amiibo so we will have to hope it improves over time. Closing Thoughts – Other than the limited functionality, Yarn Yoshi is a great addition to your collection. If you find him cute at all, it will be hard to resist such a well-made Amiibo. If you’re interested in playing Yoshi’s Woolly World, especially in the next few months, you might as well pick up the bundle and save some money on the Yarn Yoshi Amiibo as well. How do you like Nintendo’s softest Amiibo yet? 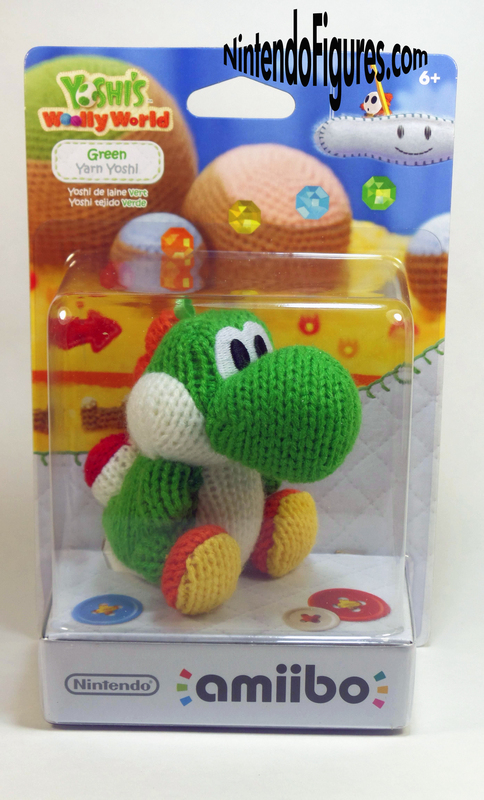 If you have purchased any of the Yarn Yoshi’s, let us know your thoughts in the comments section below. Next Micro Land Zelda: Wind Waker Figure Packs Spotted!